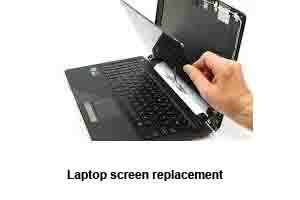 We are number 1 for laptop screen repair in Fulham, SW6. We can repair all type of laptop screens including old style LCD screens or latest LED technology screens. We have a huge selection of laptop screens in stock. Therefore, we also offer same day service for Mac and PC laptop screen repair. Trust our certified engineers for all type of computer repairs in Fulham, including virus removal, screen replacement, logic board repair, internet troubleshooting, Operating System repair, e-mail setup, data recovery and power-jack repair. The customer from Fulham SW6 brought a Sony Vaio laptop to our repair centre. This Sony Vaio 15″ laptop had a cracked LCD screen. As the laptop was quite old the new screen was not available. We keep a huge stock of new and second-hand screens but this screen was an odd one and we did not have that. However, we managed to get hold of a second-hand laptop screen from a supplier in East London. We replaced the LCD screen and laptop was back to normal. Another satisfied customer from Fulham! 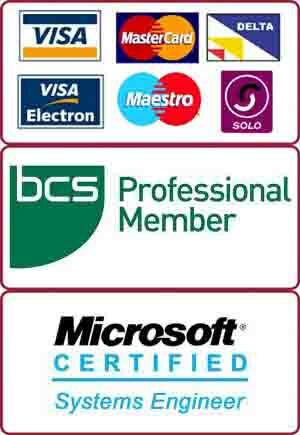 We, at PC Macgicians, specialise in PC and Mac computer repairs in Fulham.